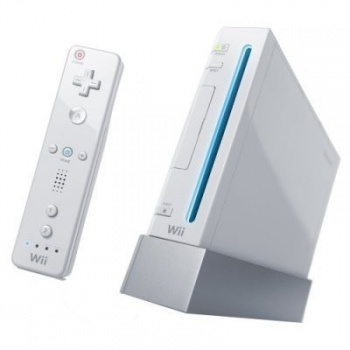 A 12-year-old juvenile offender in Winnipeg, Manitoba has been slapped with unusual bail conditions which a judge hopes will help keep him in line: He had to put up his Nintendo Wii as security. The Winnipeg youth had his first run-in with the law in February, when he used a sock filled with rocks to smash windows at his elementary school. Soon after that, he chased down a classmate and punched him in the face several times; he was released on an order not to attend that school but has breached the order at least three times. In August he clobbered another boy over the head with a pool cue and then finally, in mid-October, he was busted for attacking a male student and female teacher at his new school after a game of dodge ball. Tired of the boy's repeat appearances in court, the judge in this most recent case decided to get his attention by requiring him to put up his most prized possession for bail: A Nintendo Wii. The boy must keep the peace, appear for all his scheduled court dates and attend a "bail management program," and if he fails to meet any of those requirements, he loses the console. "He is pledging as a security, akin to a cash deposit, his Nintendo Wii," Judge Marvin Garfinkle said. "And if he doesn't comply, he loses it." The Crown Attorney in the case, Susan Baragar, doesn't seem to have much confidence that the unique bail bond will help keep the boy in line. Despite being only 12 years old, she said, "it is our submission he is clearly out of control and will not obey any rules your honor may lay down for him." The boy's lawyer, on the other hand, acknowledged that "it doesn't look good" but added, "He's a 12-year-old who is generally quite scared."